The beginning of the week saw public discussions regarding the possible addition of video gambling in Des Plaines kick off, with local businesses’ representatives calling for local aldermen’s support for the measure. 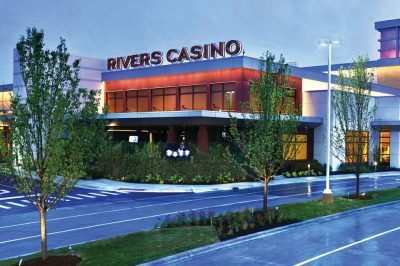 The city of Des Plaines is currently in a quite unusual position in comparison to most communities in Illinois, as it hosts what is considered the most attractive casino in the state, Rivers Casino Des Plaines. The venue contributes an approximately $9-million gaming tax revenue every year, and over a $1 million more is granted as a contribution to ten South suburban communities. Despite the fact that video gaming was legalized by Illinois lawmakers in 2012, the city of Des Plaines has still not allowed this form of gambling because local aldermen were concerned with the potential negative impact which it could have on the city’s financial balance. However, an increasing number of communities have decided to give the nod to video gaming in order to use it for generating additional revenue for their coffers and helping businesses where such terminals can legally operate – these are the establishments which are licensed to offer liquor for on-site consumption. Over the past few years, video gaming has become a massive part of Illinois’ gambling sector, bringing the state even more money than the combined gaming tax income generated by the state’s 10 casino venues. At the Monday hearing, Ald. 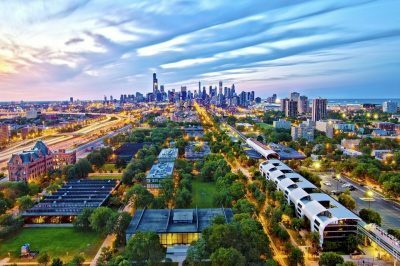 Carla Brookman revealed that according to reports, the revenue generated by eight of the ten casino venues in Illinois has declined, while the revenue brought by video gaming has continued to grow. According to the most recent figures provided by the Illinois Gaming Board, Illinois voters wagered over $1.6 billion through video gaming machines across the state in December 2018. The overall winnings of VGT amounted to more than $1.5 billion, with $33.3 million received by the state and $6.6 million received by local municipalities as tax income. Under Illinois’ gambling legislation a 30% tax is imposed on revenues generated by video gaming machines, after payouts. Five-sixths of that amount are redirected to state coffers, while the remaining one-sixth is received by the local government. The establishments which offer VGTs receive the remaining 70% of the machines’ revenue. As mentioned above, Del Plaines’ aldermen were urged by a number of representatives of local business, which could be eligible to acquire video gaming licenses, to support the proposed measure, saying that the machines’ legalization would greatly help their business remain viable and competitive. For the time being, the opinions on the implementation of video gambling in Des Plaines are still divided. Still, there have been several aldermen who shared they support video gaming machines to be legalized in the city as such a move could be beneficial for local business owners to keep their business competitive to the ones in neighboring communities.